The 64-bit Flash 11 player works in 64-bit Linux, but Flash videos are jerky in fullscreen mode no matter what the chosen resolution. This is a known issue with the 64-bit Flash 11 player, and until Adobe fixes it, 64-bit users are stuck. Is there any way to enjoy smooth, fullscreen Flash videos in 64-bit Linux? Yes! 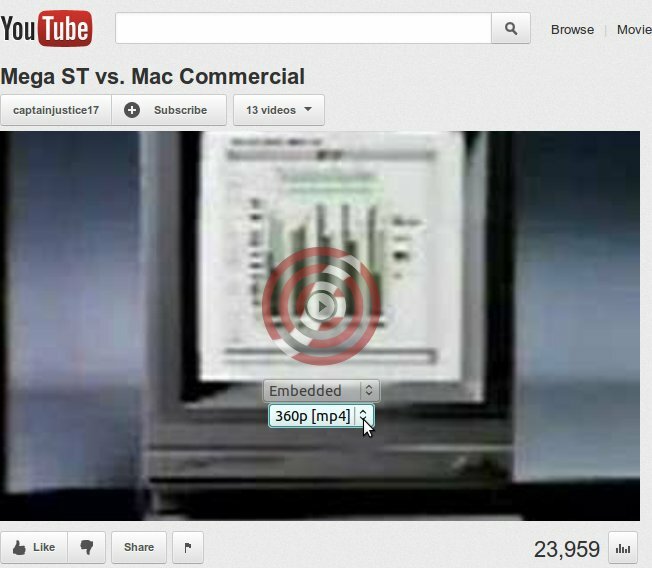 The FlashVideoReplacer addon for Firefox plays Flash videos using your existing video player and allows smooth, fullscreen playback. UPDATE: The FlashVideoReplacer has been removed from the Firefox addons, but it is still available for download from the author’s download section on github. It might require some hunting, but this is an addon worth hunting for. UPDATE 2 (April 28, 2016): FlashVideoReplacer is even harder to find now. The above link is also outdated. However, with Linux today, videos play smoothly and external players are possible. While this is not a true fix to the underlying problem, the results tend to be better than using Flash in the first place, making Flash unnecessary for watching YouTube videos. This article assumes Ubuntu 10.10 64-bit is running properly with Firefox 11, but newer Linux distributions, such as Ubuntu 12.04, should work as well. Update: Flash 11.2.202.235 x86_64 in Firefox 11 on a new installation of Ubuntu 10.10 64-bit produces smooth, full screen video at all resolutions. Flash 11 full screen is still jerky on an Acer Aspire One 722 netbook even with Flash 11.2.202.235. The netbook is capable of smooth, full screen Flash 11 videos because they play properly in Windows 7 with Flash 11. This must be a Flash 11 Linux issue. So, the FlashVideoReplacer addon will produce smooth full screen video on the same hardware producing jerky Flash 11 video. 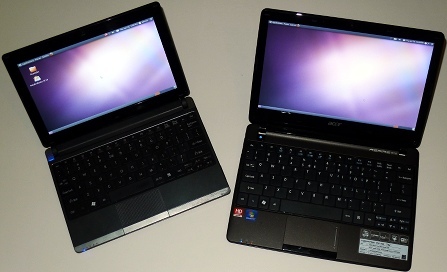 The Acer Aspire One 722 is an excellent netbook for running Linux even though it is designed for Windows 7. Despite the absence of Linux on the packaging, Ubuntu and its derivatives run on the Aspire One. Despite certain issues with Ubuntu 10.10, it remains my operating system of choice due to its simplicity and outstanding performance most of the time. Does it install on the Aspire One? Yes, it does, but it requires more time and effort than installing Ubuntu 12.04, Xubuntu 12.04, Windows 7, or the Gateway LT2114U. Here are steps I use to install Ubuntu 10.10 64-bit on the Aspire One 722 with fully working hardware and wireless connectivity. Every now and then I am delighted with a product that exceeds my expectations. One such product is the Cyborg R.A.T. 7 Albino, and a recent product is the Acer Aspire One 722 netbook. My Gateway LT2114U netbook, which is really an Acer Aspire One netbook with the Gateway branding, is a reliable companion whose operation with Linux is easy and fun. It is everything I wanted in a netbook. Seeking a netbook upgrade, can the Aspire One 722 be any better? Q. What is pencil and paper? The file-sharing world has been turned upside down in recent months. Even though file-sharing has legitimate uses, all it takes is one rogue user — probably an anonymous individual from another country — to upload a restricted file using your service, and that, if discovered, can cause the copyright cartel to invoke the powers of the state upon your system, leading to raids, seizures, and prosecution — even across international boundaries. 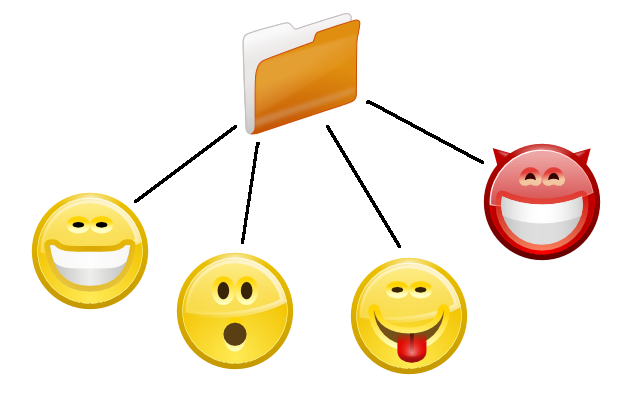 Many people need a file-sharing system whether for personal use or to conduct business, so is there any way to share files with only the people you trust so that unknown users cannot share files that could put you in trouble? A number of alternate file-sharing systems are gaining recognition quickly in answer to this question, and one such program is Retroshare. 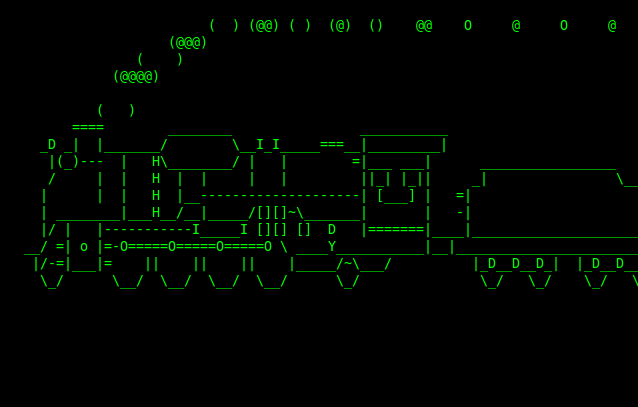 Have you ever wondered what happens when you enter the ls (list directory contents) command backwards? By default, nothing. However, if you install the sl (Steam Locomotive) program, you can play a practical joke on those who enter sl by mistake. Would you like to share files among multiple users on the same Linux system? Surprisingly, this is trickier to accomplish than it appears, so here is a method that works. The problem: You would like to allow multiple users on the same Linux system to share files among themselves. Only users who are members of a special sharing group are allowed access to a common sharing directory, and any user may read, write, and modify the permissions or any file created by any other user. All other users are denied access. Additionally, we want to allow remote access to the shared directory for remote users who do not have a local account on the system. Sounds simple, doesn’t it? However, unexpected surprises abound. Linux possesses an effective permission system to restrict who may do what with a file, and in order to achieve all of these goals, we must become creative in finding ways to work around the built-in permission system.